API Pneumatic UK supplies a range of high performance compressed air reservoirs. An air reservoir is an essential part of any pneumatic system to control the flow of air when pressure fluctuations occur. Manufactured to 2014/68/EU pressure directive standards, our API pneumatic reservoirs are guaranteed to be the highest quality available. On request, we can also manufacture pneumatic reservoirs to 2014/34/EU ATEX standards for safe functioning in potentially explosive environments. Suitable for most pneumatic applications, our compressed air reservoirs deliver a test pressure of 16.5 bar and a working pressure of 11 bar. This particular product performs to the highest standard in a temperature range between -10°C and 60°C. API pneumatic reservoirs are suitable for a wide range of applications and are available in sizes from 0.5 to 100 litres. 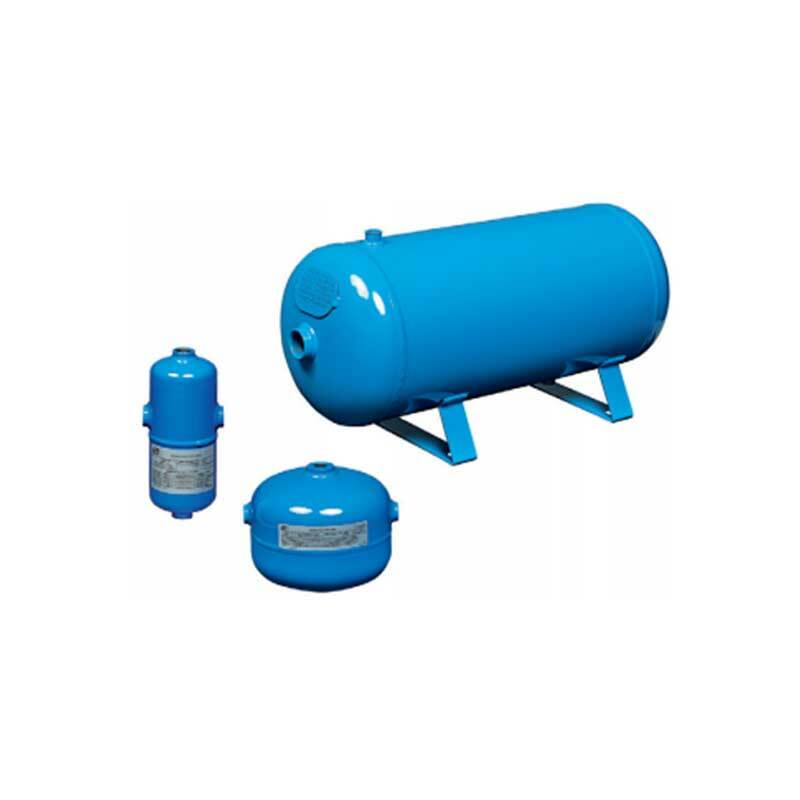 Our air reservoirs are manufactured from Steel Fe PO4 with a RAL 5015-110 epoxy coating, which provides high visibility and long life corrosion resistance. As such, API air reservoirs are designed for use with corrosive substances and withstand the pressures of harsh environments. Another advantage of our compressed air reservoirs is their compact dimensions. This makes them ideal for air pressure back up in control panels to remove any pulsing of compressed air. Their small size allows them to adapt to multiple applications where space is at a premium. Alongside our pneumatic reservoirs, we also manufacture specifically designed accessories. This includes bracket/tank connection fittings, mounting brackets and a semi-automatic condense drain valve, which releases condensation when pressure is vented. Compressed air reservoirs from API Pneumatic UK are available in two ported versions for cost savings and four ported versions for the mounting of safety valves, gauges and other accessories. We will work with you to decide the size of reservoir your application requires, ensuring that it performs to the highest standard. If you are unsure which directive you require your air reservoir to be manufactured to, speak to our team today. With in-depth technical knowledge and extensive expertise, we can provide a solution that meets your specific requirements. As well as expert technical advice, API Pneumatic UK also provides next day delivery on a range of products. Contact us today for more information about our range of accessories by calling 01782 206 995 or emailing sales@apiuk.co.uk.